20" A/O Sanding Disc, 120 Grit PSA, 2 pk. Woodstock - 20" A/O Sanding Disc, 120 Grit PSA, 2 pk. 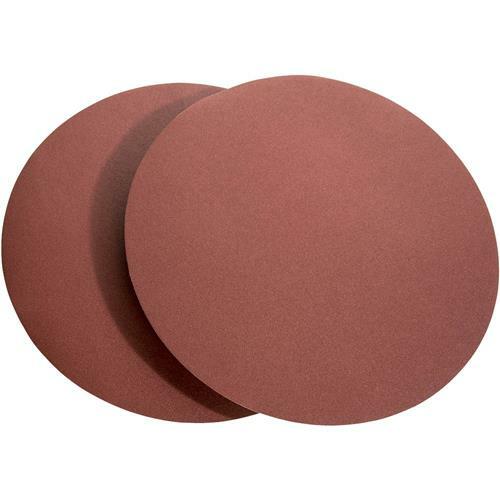 These 20" diameter 120 grit aluminum oxide sanding discs are sized to fit most common disc sanders and are sold in a 2 pk. These sanding discs are pre-applied with top-quality pressure sensitive adhesive. I searched around for a llarge sanding disk. And had a hard time finding one. Happen to stumble on to grizzly. And found the one I needed. In this world of disposable products. Or non supported products after a certain time period. It is nice to find products for older reliable equipment. Good job grizzly and thanks for handling your product line.